Postpartum care is typically part of an obstetrician's role. A love for babies is actually not the best reason to get into the field of obstetrics. Obstetricians do a large part of their work with patients before a baby is even in the picture. But there are plenty of other reasons to become an obstetrician, or OB/GYN -- the common title for specialists in obstetrics and gynecology. Physicians and surgeons typically make sizable incomes, and obstetricians are definitely included. While your pay can vary greatly by the size of your practice, the average income for all OB/GYNs was $218,610 a year as of May 2011, according to the Bureau of Labor Statistics. 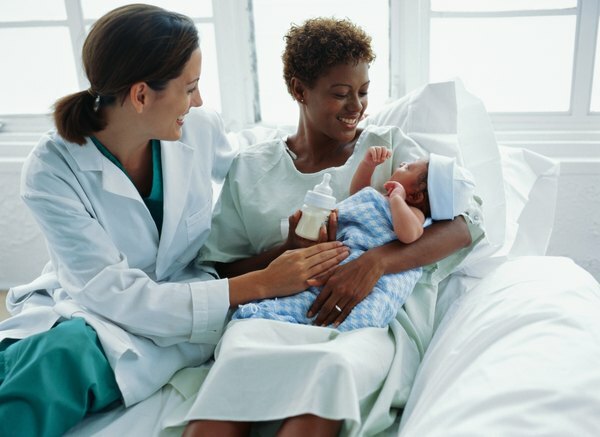 Some obstetricians own their own practices or form partnerships with one or more doctors, which potentially offers higher incomes. While much of an obstetrician's work with pregnant women happens prior to the birth of a baby, the thrill of helping bring new life into the world is the hook for some. During residency, obstetricians often get their first opportunities to help deliver a child. Though intense -- and sometimes risky -- the miracle of birth often affects the doctor as much as it does the family of the baby. Obstetrics is a medical specialty that focuses solely on women. 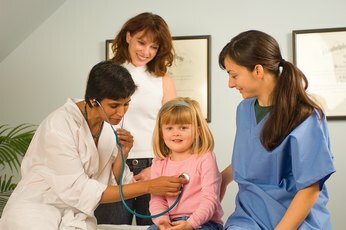 Providing top notch medical care for women during pregnancy and in reproductive health situations is appealing to some. If you have a personal desire to care for women and be a part of their journey through pregnancy, this may be your calling. Passion is often what gets obstetricians excited about late-night calls to a birthing room. Medical doctors often face challenges trying to balance work and family life. 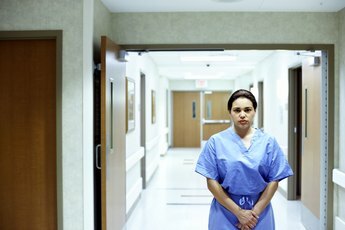 The demands of medicine often involve late-night shifts and on-call assignments. Historically, this has been the case for obstetricians. However, because the field of obstetrics is predominantly made up of women, the balance is somewhat easier to attain in the early 21st century. The Careers in Medicine website reports that demands by OB/GYNs for more work-family balance has contributed to the rise in group practices, shared responsibilities and opportunities for balance with family life. 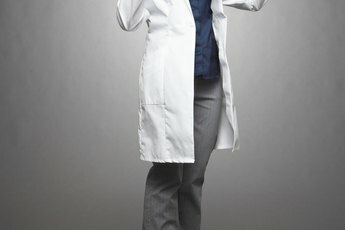 Women's Care Florida: April Merritt, M.D. University of Texas Medical Branch at Galveston Obstetrics and Gynecology: Is Obstetrics and Gynecology the Specialty for You?